One of the questions we get asked often at festivals and markets is about the sweeteners we use in our products. For the record, we prefer to use dates and raw honey. We sometimes use dried stevia leaves, the nectar from coconut flowers, raw yacon and rapadura sugar. We do NOT use agave and we’ve become increasingly concerned about its wide usage in many raw products. After careful consideration of the available research we’re suggesting you seriously think about how much agave you use in your kitchen and your diet. And here’s why. 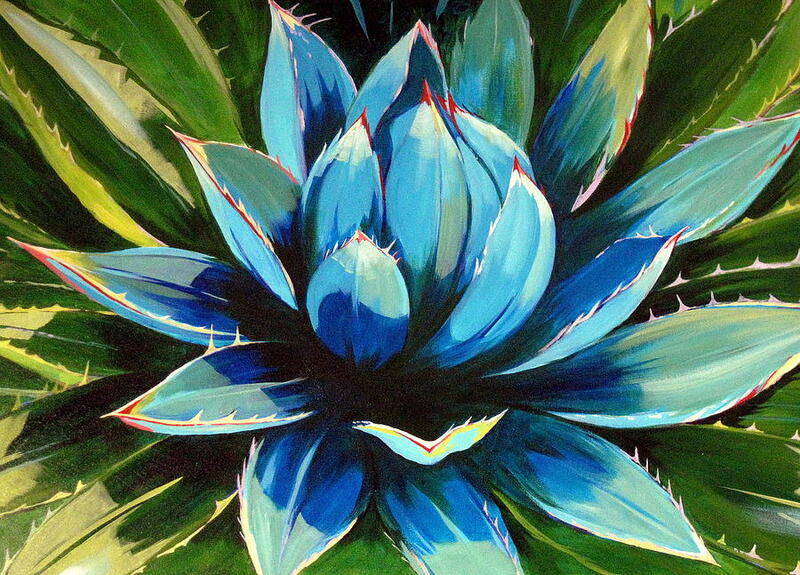 Agave is used a lot in raw recipes. Why? Because as a sweetener it subtle, delicate and deliciously smooth. It can make the difference between “good” and “amazing” in some recipes. But don’t be seduced too easily by this product. A few years ago were were told that because agave doesn’t spike our blood sugar like regular sugar does (it has a low-glycemic index) that it could be a good alternative for diabetics. But it turns out that while agave doesn’t contain a lot of glucose, it contains more fructose than most other sweeteners, including high-fructose corn syrup. Initially, it was thought that moderate amounts of fructose weren’t unhealthy, but now the evidence is in. So …. we use raw honey and coconut nectar. Honey is one of the few truly raw natural sweeteners available. It’s health benefits include anti-microbial, heart-healthy and anti-inflammatory effects. Please be careful and do you own research. Agave nectar is an amber-colored liquid that pours more easily than honey and is considerably sweeter than sugar. The health-food crowd loves it because it is gluten-free and suitable for vegan diets- and, most especially, because it’s low glycemic (we’ll get to that in a moment). Largely because of its very low glycemic impact, Agave nectar is marketed as “diabetic friendly”. What’s not to like? As it turns out, quite a lot. Agave nectar has a low-glycemic index for one reason only: it’s largely made of fructose, which although it has a low-glycemic index, is now known to be a very damaging form of sugar when used as a sweetener. Agave nectar has the highest fructose content of any commercial sweetener (with the exception of pure liquid fructose). Fructose- the sugar found naturally in fruit- is perfectly fine when you get it from whole foods like apples (about 7% fructose)-it comes with a host of vitamins, antioxidants and fiber. But when it’s commercially extracted from fruit, concentrated and made into a sweetener, it exacts a considerable metabolic price. Research shows that it’s the fructose part of sweeteners that’s the most dangerous. Fructose causes insulin resistance and significantly raises triglycerides (a risk factor for heart disease). It also increases fat around the middle which in turn puts you at greater risk for diabetes, heart disease and Metabolic Syndrome (a kind of pre-diabetes). In the agave plant, most of the sweetness comes from a particular kind of fructose called insulin that actually has some health benefits- it’s considered a fiber. But there’s not much insulin left in the actual syrup. In the manufacturing process, enzymes are added to the insulin to break it down into digestible sugar (fructose), resulting in a syrup that has a fructose content that is at best 57% and- much more commonly- as high as 90%. “It’s almost all fructose, highly processed sugar with great marketing,” said Dr. Ingrid Kohlstadt, a fellow of the American College of Nutrition and an associate faculty member at Johns Hopkins School of Public Health. “Fructose interferes with healthy metabolism when (consumed) at higher doses”, she told me. “Many people have fructose intolerance like lactose intolerance. They get acne or worse diabetes symptoms even though their blood [sugar] is OK”. Agave nectar syrup is a triumph of marketing over science. True, it has a low-glycemic index, but so does gasoline- that doesn’t mean it’s good for you. If you simply must have some sweets once in a while, a small amount of agave nectar every once in a while isn’t going to kill you. Just don’t buy into the idea that it’s any better for you than plain old sugar or HFCS. In some ways, it may even be slightly worse. Learn more about health and happiness. I’ve made it my mission in life help you cut through all the misconceptions about health and diet and to help you live a truly powerful, magnificent and healthy life with energy and passion! You can read more articles just like this one on my health and nutrition blog.